Last night was a very powerful Full Moon. In the week leading up to it, I talked with quite a few friends and clients who were struggling with some big emotions and chaotic life situations. The moon’s energy guides the tides and it definitely affects us too, some more than others. If you are still feeling the effects of this moon, I recommend grounding your energy to balance the emotional chaos. When our energy is ungrounded, meaning not in our bodies, we are at a greater risk of illness and injury. Do you ever have those days when you just can’t keep anything in your head? Or you lose keys? Bang your elbow into the door frame as you walk through? Turn the wrong way down a one way? One of these in a day is not a big deal, but two or more and I would suggest you take that as a sign you need to ground your energy into your body. And one really effective way to ground is to exercise–go for a run or a hike, do some yoga or stretching, or get up and dance. 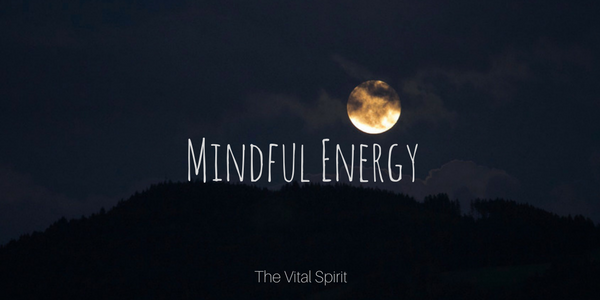 Bringing our spirit (energy) into our body through movement is a quick and effective way to change a low energy, bumbling day into a productive mindful day. How does our energy become ungrounded? The most common way is stress. Stress can create pain, either emotional or physical, our spirits dislike being trapped in a pain body, so they literally fly out. Most people’s spirits or energetic body is somewhere outside of the physical body, we are essentially escaping our problems through disconnection. While everyone with a body and stress is susceptible to this condition, empaths will definitely experience this regularly. When I was younger and unaware I was always bumping and bruising my arms and elbows. I quite literally didn’t know where my body was in space. I was escaping the stress of my life by hovering outside my body. Why is being ungrounded ultimately a bad thing for us? We can’t heal our body if we are not in our body, that goes for emotional pain as well as physical pain. Many people get sick with a cold or flu at Christmas because of the stress associated with the season; shopping, parties, work obligations, kids programs at school, etc. When we finally take a minute to slow down on Christmas we find our body has weakened and we become susceptible to a cold. Another way to look at that is we didn’t take the time we needed to rest, ground and move our bodies, so by getting sick, our body has forced us to slow down and take care of it. I invite you to join me in stretching and gently moving your body, bringing your full awareness into your core, feeling your extremities, and allowing your energy to flow into the earth through your feet. Then allowing the earth energy to flow up into your body through your feet, legs, and grounding cord (an energetic cord that extends from the base of your spine into the earth).